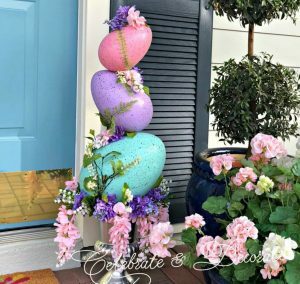 I found these big eggs at Michael’s last year and made this Easter Egg Topiary. 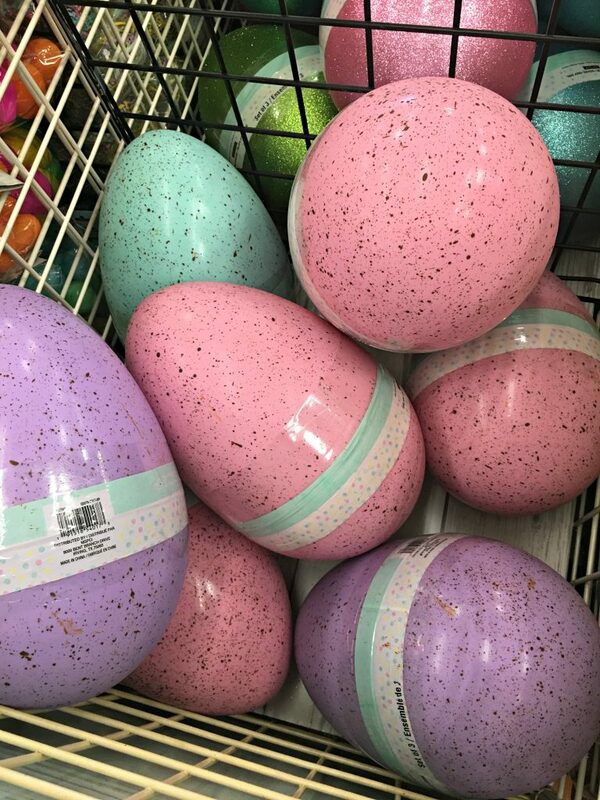 These eggs are still available in the stores this week! You might want to make this fun topiary to welcome friends to your front door! I decided I wanted to share this again this year so everyone gets a chance to see this fun project! What in the world could I use these for besides setting them out in the yard? The bin was looking a little empty and I didn’t want to come back later and find they were all gone! While I was at Michael’s I picked up a 36″ long 5/8″ dowel and a block of styrofoam. I tried a drill which didn’t work too well, so I turned back to my Christmas topiary trick by melting with my old glue gun. 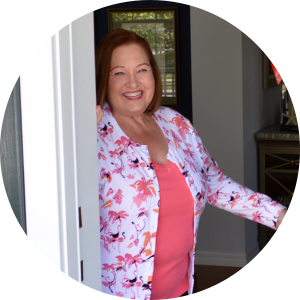 If you do this, make sure you are outdoors or in a well-ventilated area as it may cause noxious fumes. 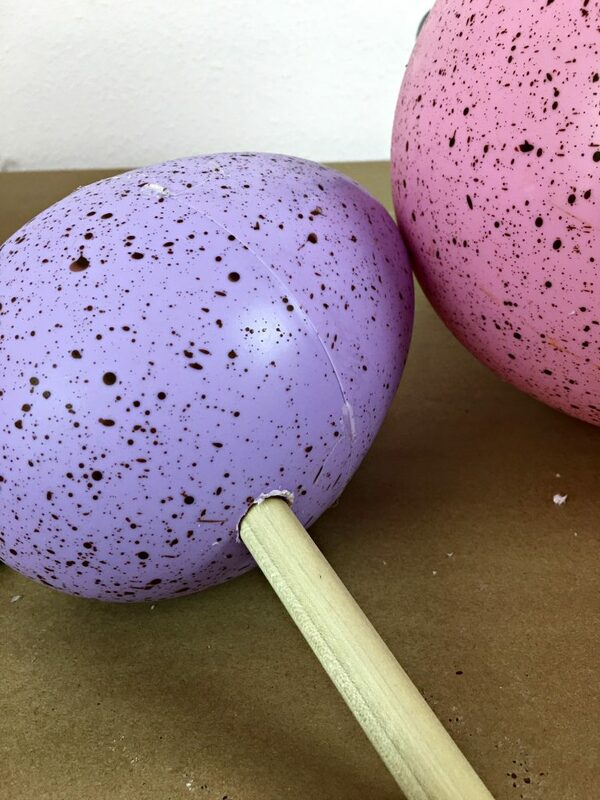 Hold an old empty glue gun against the eggs and melt a hold big enough for a 5/8″ dowel to fit through. 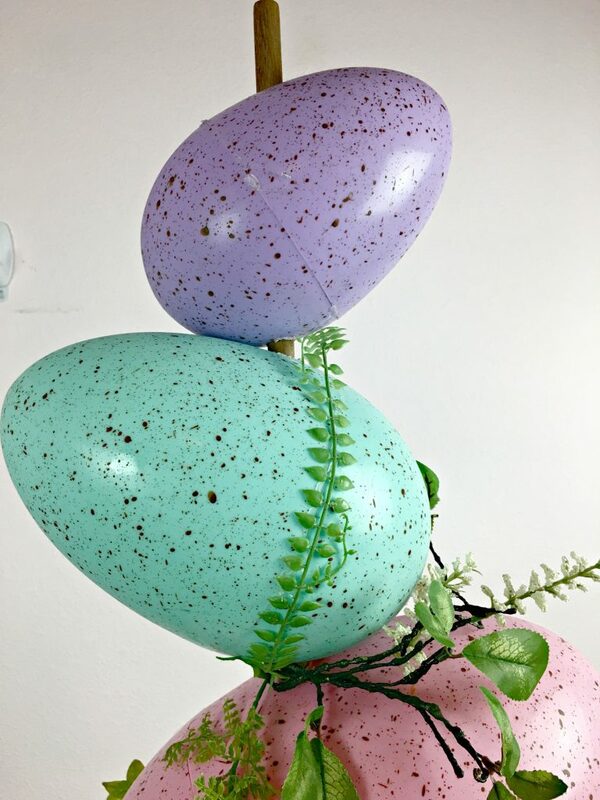 These eggs come in a nested set of three, each a different pastel color. I made the holes across the eggs in an angle, I knew I didn’t want my eggs to be stacked straight on one another. Use any container you have or pick one up. I had this one at home, but I needed to put some stones in the bottom to weigh it down. 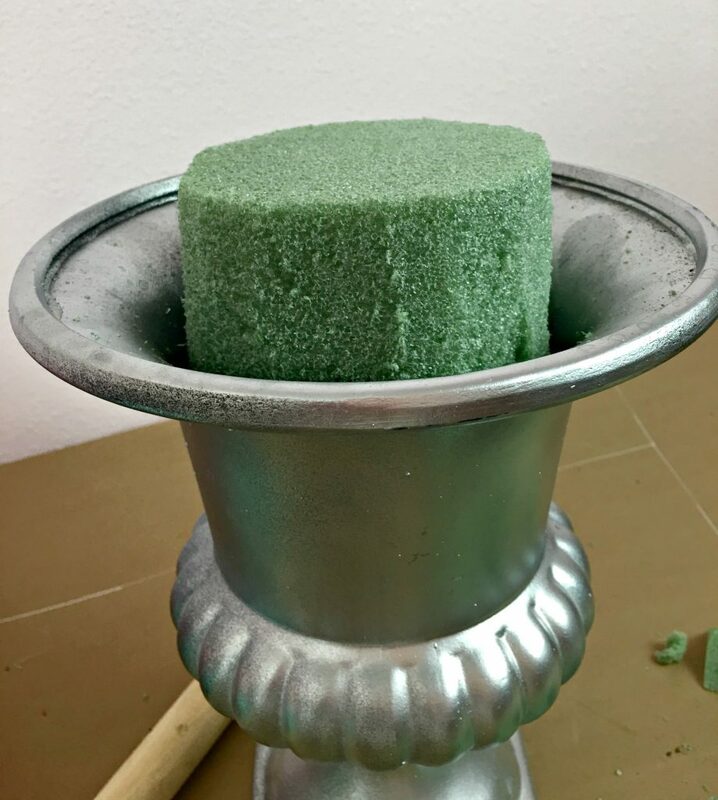 Take a block of styrofoam, trim it and wedge it very firmly into the container. When all of the holes are done and the eggs are threaded on the dowel, you simply stick the dowel down into the styrofoam. I covered my styrofoam with moss. You could not melt a hole in the top of the smallest egg and just finish it off with the egg at the top, cutting the dowel to fit, but I found my egg was more secure with the dowel going all the way through. 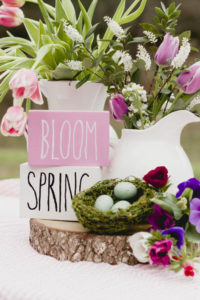 Fill the pot around the bottom egg with artificial flowers and greenery to make a little “nest” for your eggs. You can even add a little bunny peeking out if you would like. Once the mechanics are done, it is time to have some fun and decorate the topiary. 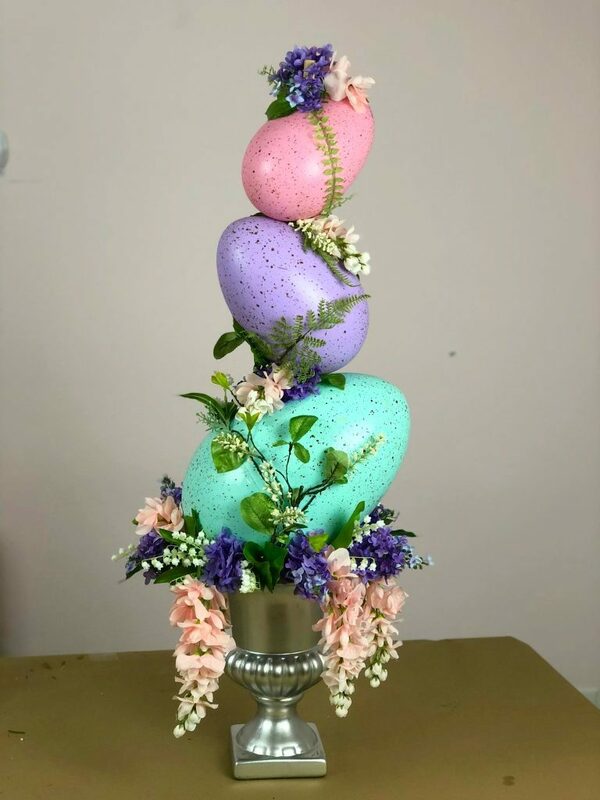 I used a variety of silk flowers and foliage, using hot glue to attach them to my eggs. Above you can see how I used a fern to hide the seam in my middle egg. 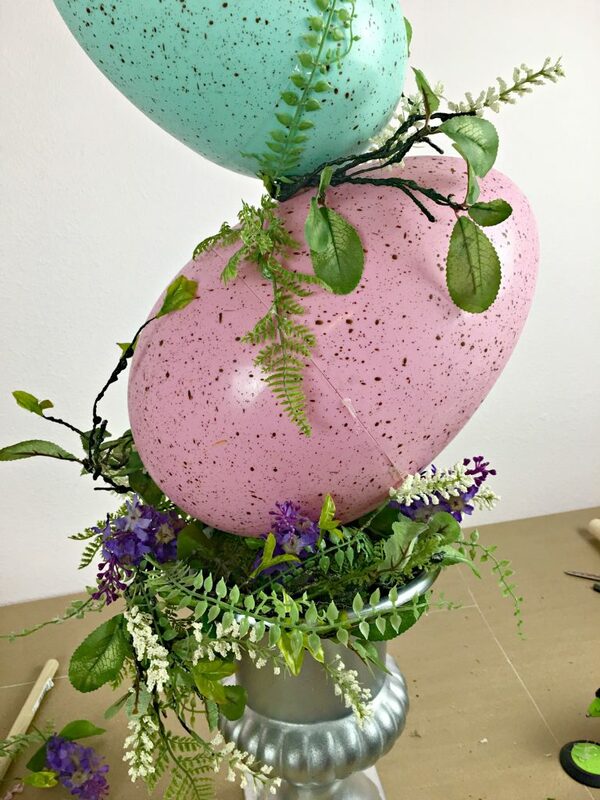 Pink silk wisteria from Michael’s and lilacs and lily of the valley were nestled around my bottom egg and glued between the eggs of my Easter egg topiary, hiding the mechanics of the dowel. The same treatment was made for the dowel on the top of the top egg. 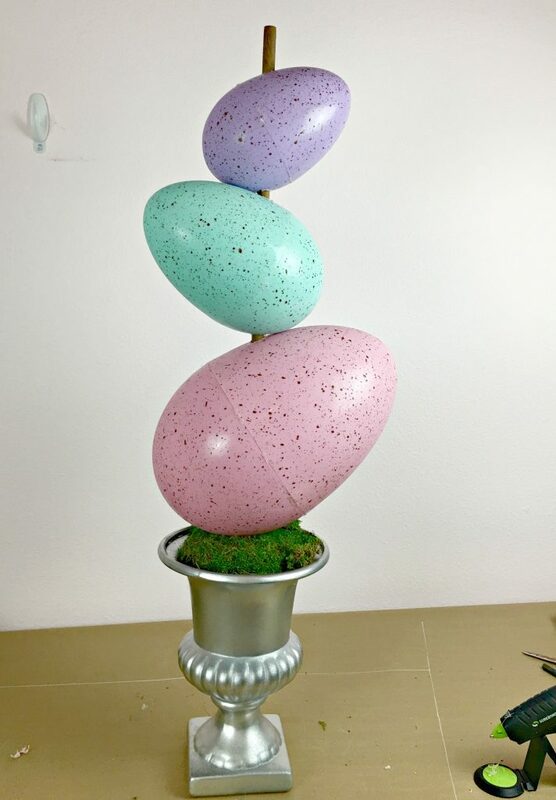 I couldn’t be happier with how my Easter egg topiary turned out. 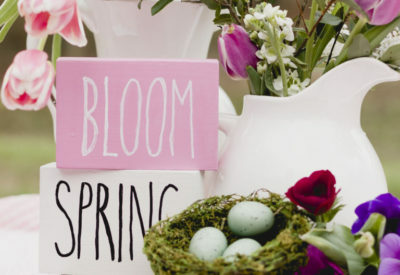 This is the perfect addition to my front porch to celebrate springtime and Easter! Let me know if you make one of these! I would love to see yours! 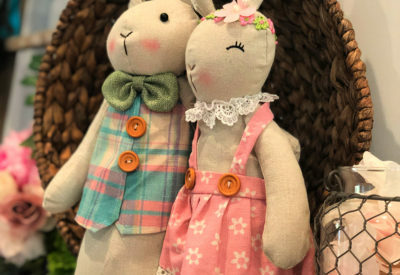 You can share your photos over on Facebook in Chloe’s Crafters! Thank you so much for this wonderful idea. I enjoyed making this project:)! 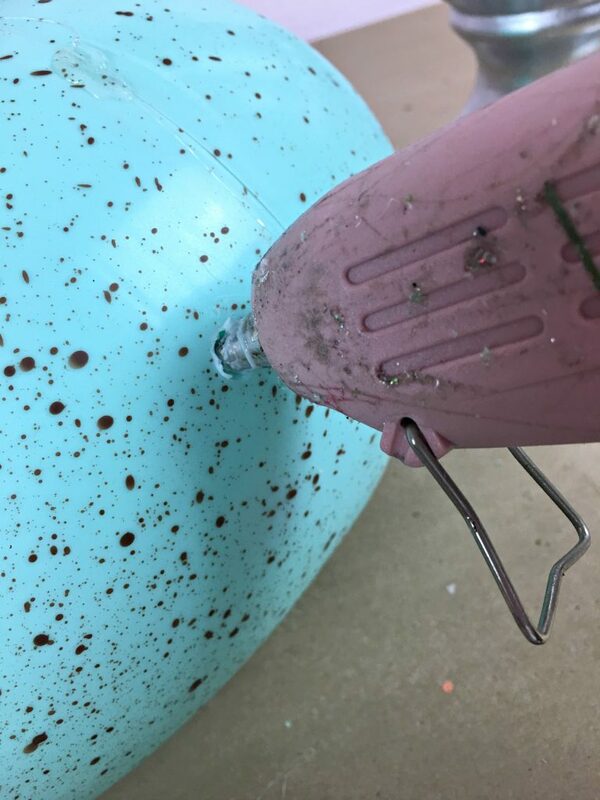 It surely does help to use the full size heat gun which I did not have at first. It melted through the plastic egg at 100 w vs 60 w.
The set of plastic eggs I got did not come multi colored which at first was disappointing but it still turned out beautiful. Thanks again! I am so glad yours turned out beautiful for you! Thank you, and you are welcome! I love this Chloe, so so cute! 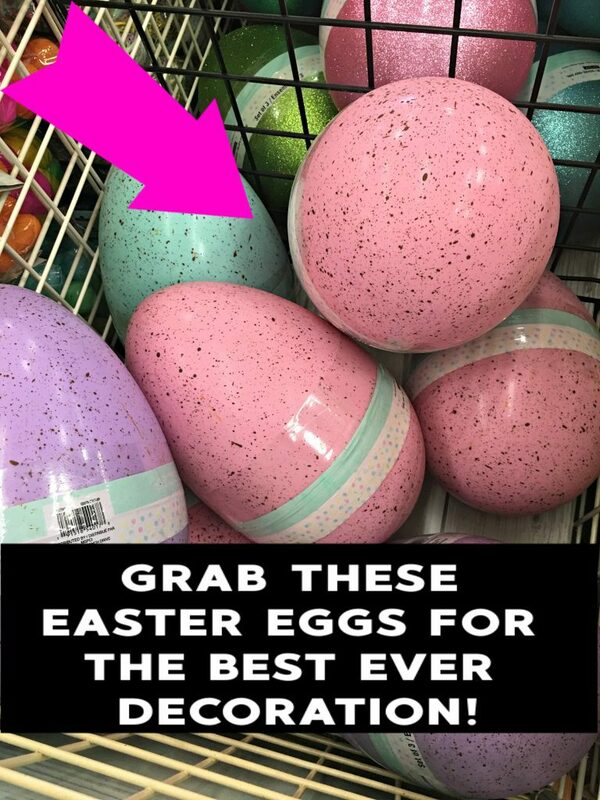 Chloe, I bought on line (about 5 years ago) 4 giant eggs (mine are not speckled) and I like you thought I would set the in the yard and I did. I never thought of making a topiary. great job. Thanks so much Kari! I have something in mind for next year. Sadly with time out of town, there was no time for me to do it. 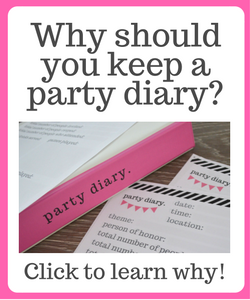 Actually, I might do it and photograph it and write a post and just schedule it for next year! Oh, this is so pretty! 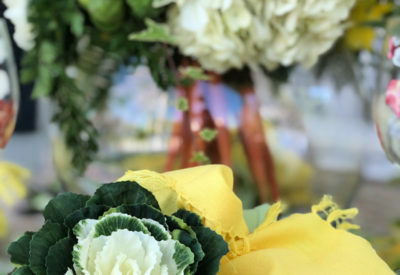 I love everything you did here and how you paid great attention to details. It kind of looks like a fun Easter crown 🙂 I’m definitely trying this project out. 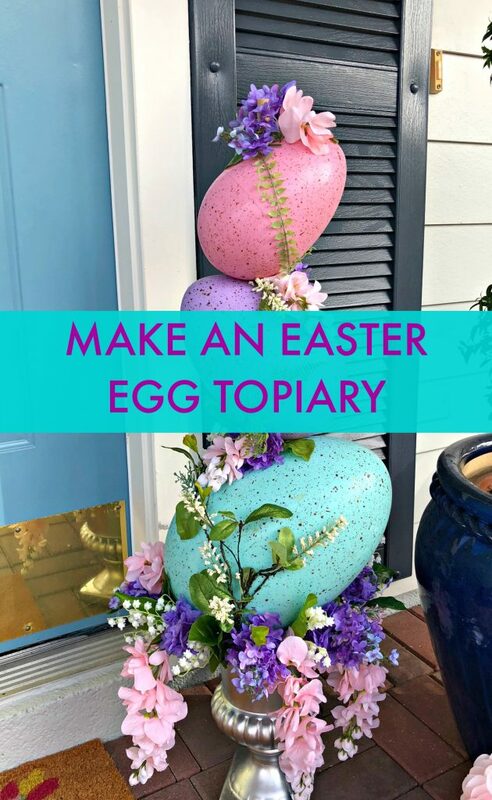 Although there are only a few days left until Easter, I think I can pull it through because you’ve explained everything so clear and it seems to be fairly easy to make this Easter egg topiary. Thank you for the idea!